Modi: Journey Of A Common Man is blatant propaganda, feels Utkarsh Mishra. While Omung Kumar's biopic of Prime Minister Narendra Damordas Modi is still mired in controversy, with a case filed against it in the Supreme Court, an elusive go-ahead by the Election Commission and a delayed certification by the censors, a web series on the same subject has been released. 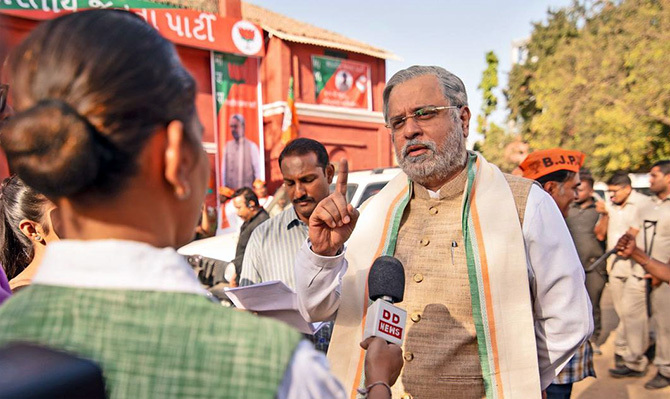 Five of the 10-episode series Modi: Journey Of A Common Man, directed by Umesh Shukla, have been released on Eros Now, the content of which is as hagiographic as it can get. The part streaming now is majorly about Modi's role in defying the Emergency, and periodically cuts back to his childhood days in his hometown, Vadnagar. So young Narendra (played by Faisal Khan) is obviously the most charismatic boy in his town. Basically, all the matter you get in Bal Narendra comics, minus the crocodile story. This series makes it clear that it is strictly based on the book Common Man's PM Narendra Modi by Kishor Makwana. It adds that 'fictionalisation' and 'dramatisation' are used wherever necessary. As I haven't read the book, I cannot say which parts are 'fictionalised'. But the stories of Narendra's life that are shown in the series are described as apocryphal even by a friendly author like Andy Marino in his 'political biography' of Modi, which is also borderline hagiographic. Even discounting that, the series contains several factual errors. The biggest one is showing L K Advani attending a meeting arranged by Modi (Ashish Sharma, the older Modi is played by Mahesh Thakur) -- the other participants being George Fernandes, Subramanian Swamy and Laxmanrao Inamdar -- in Gujarat in the middle of the Emergency. We all know Advani was in prison for almost the entire period of Emergency. Moreover, while it shows Narendra 'leading' the anti-Emergency movement in Gujarat, Advani, who has written more than one chapter on the Emergency in his autobiography My Country My Life, hasn't mentioned Modi even once in any of them. The acting performances are little better than a school drama. The screenplay is confusing; everyone's only purpose seems to be to show the larger-than-life character of the protagonist. And here's why I call it a political propaganda. One, young Narendra often likes to make it clear that he won't take the blame when he is not at fault. This, I'm sure, will be used in the second part to show why he never accepted his mistake in the handling of the Gujarat riots in 2002. Two, while everyone -- except those Congressmen who were under the wings of Indira Gandhi or her son Sanjay -- opposed the Emergency, the series tries to establish that only the Jan Sangh and Rashtriya Swayamsevak Sangh were on the 'right path', like Mahatma Gandhi during the freedom struggle. More than once, socialist George Fernandes is shown to make a case for violence, at one place making tangential reference to what later came to be known as the Baroda dynamite case. And on every occasion, Narendra lectures him why violence is bad, and that the RSS doesn't stand for violence! It is therefore also an attempt to glorify, rather deify the RSS, using their anthem 'Namaste Sada Vatsale Matrubhoomi' in the background and showing shakhas and men wearing khaki shorts always struggling and helping people. Three, despite fighting the Emergency so bravely, Narendra is not happy with the victory of the Janata Party. Why? Because for how long will this khichdi coalition last, whose point of convergence is merely opposing the Congress? 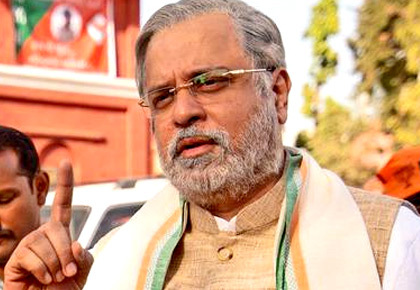 You cannot miss that this is targeted sharply at the attempts towards opposition unity against the Bharatiya Janata Party in the 2019 Lok Sabha polls. That's why it is just an exercise to turn you into a BJP voter, if you aren't one already. When a dark horse suddenly gets the top job and manages to rule for a long period, it gives rise to a whole new realm of anecdotes and conjectures about the person's hitherto obscure past. Most of Modi's childhood and adulthood stories, before him becoming a full-time pracharak, fall in this category. A lot of them are like folklore now; you don't know which is true and to what extent they are true. But you also don't have any means to disprove them. So they stay, especially when unsuspecting viewers can be tricked into accepting them as the gospel truth by such media that they may consider more authentic than word-of-mouth. This could still be okay in the distant future. But coming at a time when the leader is seeking a re-election, it should be called what out for what it is: blatant propaganda.